Over at Amazon today, you can pick up a pretty good deal on an excellent external charger for your devices. The Anker PowerCore+ 20100mAh pack is down to $49.99, a 58% savings off the regular price of $119.99 and not only does it support USB A (what we think of as standard USB) but also USB Type-C support for some of the latest Android devices as well as the latest Macbooks. 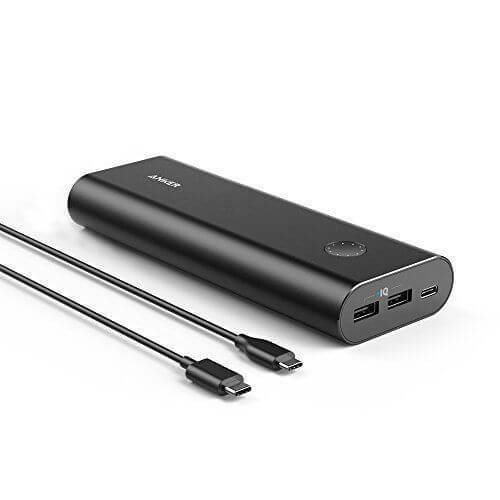 In fact, Anker states that this pack can fully charge your Macbook once on a single charge. With a 20100mAh battery inside, it’s not hard to see that being possible. assure the most efficent charging of your devices and it has technology to smooth out voltage spikes as you use your device while it is charging using the pack. All of this comes in a sleek, aluminium design that measure just over 7″ long and weighs in at about 1 lbs. I have been using Anker battery chargers for years now and never have a hesitation in recommending their products. This one is a great deal and even if you can’t take advantage of Type-C charging now, chances are your next Android phone will have it. With this power option, you will be ready to go. The special pricing is for today on Amazon and there is no limit to the number you purchase.